MILWAUKEE -- Federal officials in Milwaukee have arrested a 23-year-old man who planned to attack a Masonic temple, CBS affiliate WDJT reported. 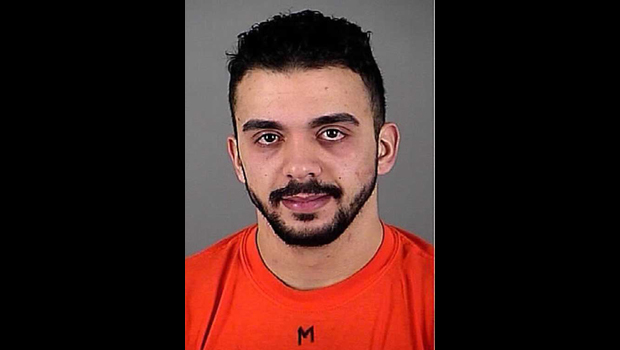 A criminal affidavit said Hamzeh toured a Masonic center in Milwaukee on Jan. 19 with two confidential informants and was tape-recorded discussing his plans to attack it in the name of "defending Muslim religion." "I am telling you, if this hit is executed, it will be known all over the world," Hamzeh allegedly said on the recording. "Sure, all over the world, all the Mujahedeen will be talking and they will be proud of us... Such operations will increase in America, when they hear about it." He continued, "The people will be scared and the operations will increase, and there will be problems all over, because more than one problem took place, and this will be the third problem, this will lead to people clashing with each other. This way we will be igniting it. I mean we are marching at the front of the war." Of the potential victims, Hamzeh allegedly said, "30 is excellent. If I got out, after killing thirty people, I will be happy 100 percent... 100 percent happy, because these 30 will terrify the world." Frank Struble, grand master of Free and Accepted Masons in Wisconsin, said the Masons are a fraternal organization, not a religion, and its members never discuss religion or politics. He also said the group embraces all religions. Masons trace their history to some of the nation's founding fathers, Struble said, adding he could "understand from that standpoint where someone who is against this country would target us."